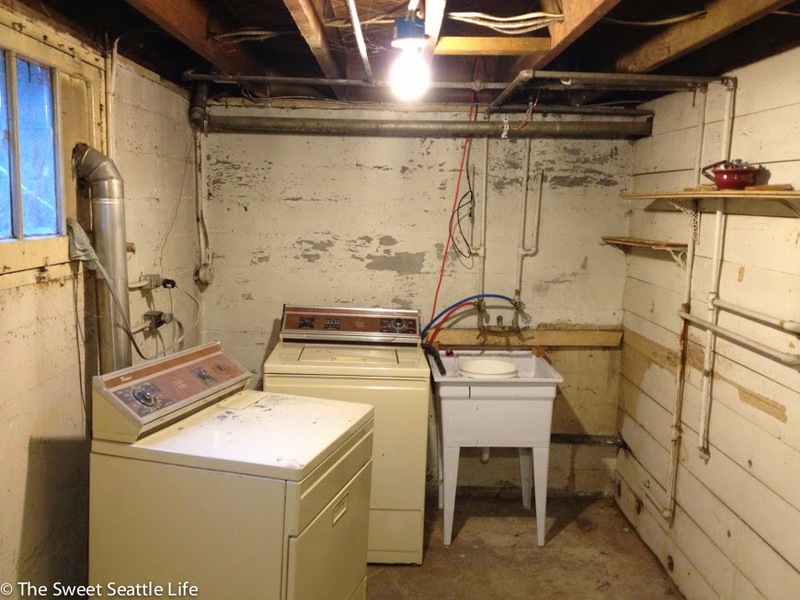 Here’s a picture of the laundry room when we purchased the house. 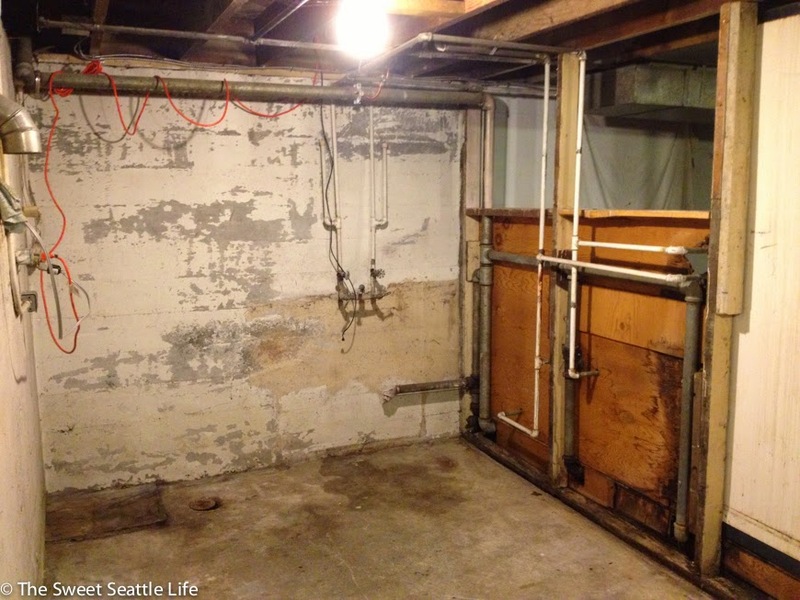 Exposed piping, concrete floors and walls, and a monster leaky sink. The sink was cracked so we gave it to a guy on Craigslist that was going to use it as a planter. 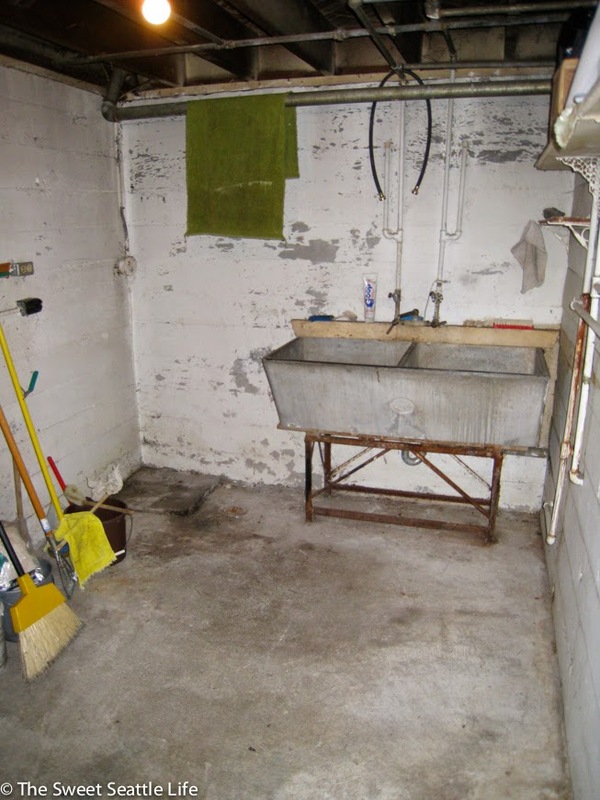 The plastic sink did ok until we were ready to demo the space. Here we are following the removal of the washer, dryer, and sink. 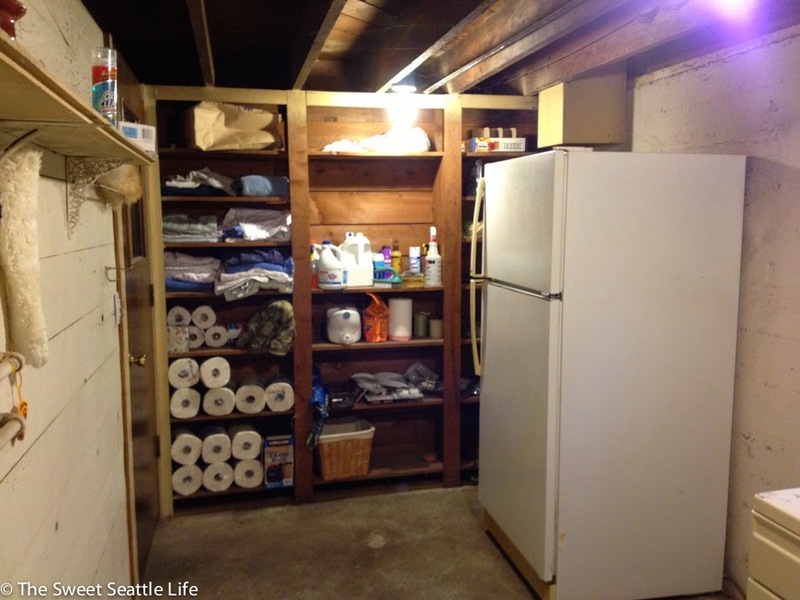 We also tore out the wall between the laundry room and bathroom so new plumbing and electrical could be installed. We studded out the walls, added a new window, and had the drywall installed. I tiled the floor and we painted the shelving unit white. 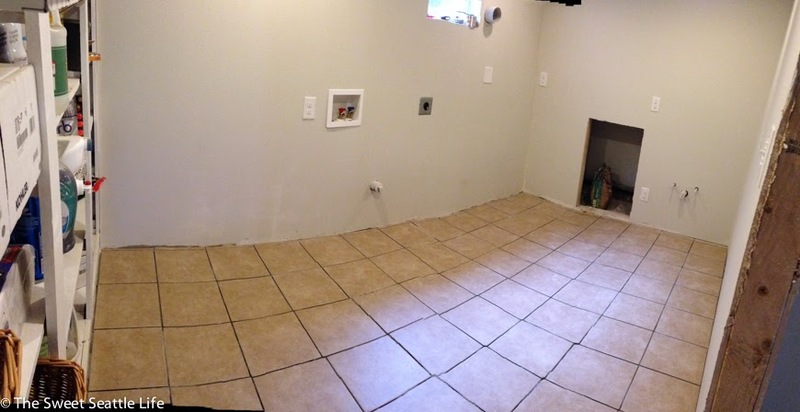 Side note: the camera’s panorama mode had trouble with my grout lines on the floor. Those tiles are perfectly straight. I just about killed myself trying to get everything lined up perfectly. Here’s what it looks like today: blond wood counters and white cabinets. Very Scandinavian, no? We installed the sink on Saturday. Time to add cabinet faces, finish the toe kick, and the backsplash. And then we’re calling this room completed!